Why do you use 50% meat in Applaws It’s All Good Dry Food, does it really matter where the protein comes from? Proteins are made up of amino acids, which are the building blocks of health and development. For example cats require 22 amino acids only 11 of which they can synthesize themselves. The remaining ones – which are called the essential amino acids they must get from their food otherwise health problems can occur. 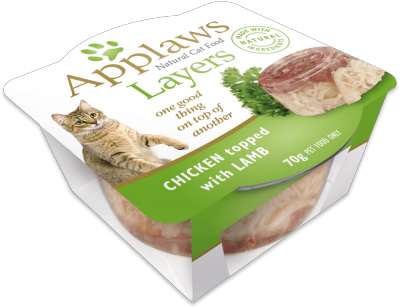 Applaws has been developed to be GRAIN FREE and to ensure that your pet’s diet is naturally rich in all the essential amino acids to keep your cat or dog healthy for longer. Scratching and biting at the skin - when fleas, ticks and mites are not present - can be the result of food allergies. Over time, cats and dogs can develop allergies to a number of ingredients, such as beef, dairy, wheat and other grain products. The offending dietary ingredient need not be a new one in the diet. Allergies can develop to foods that have been fed for years but the allergy may develop with a sudden onset. 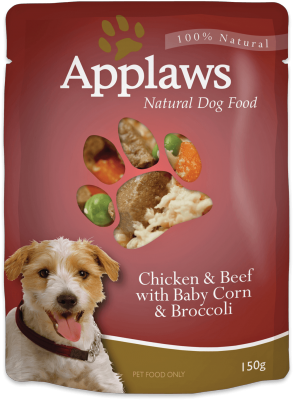 Applaws complete is GRAIN FREE and has been developed to combat many of the common allergies pets suffer from. Is there salt in Applaws wet cat food as I have been informed over the Internet that salt is bad for a cat’s health. 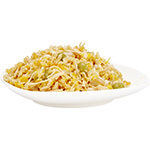 Applaws Complete dry food is especially created to be Grain Free so if your pet suffers from a wheat or beef allergy we would ask you to check the ingredients of the canned food before feeding. is there any taurine in Applaws wet Food? Yes! 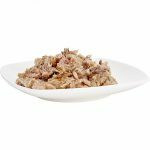 Applaws is naturally rich in taurine which is an amino acid essential for the proper function of the heart and for eye health. Taurine is found in good quality meat protein and not in grain protein. Cats require a high level of taurine for their body functions, yet have limited enzymes which can produce taurine from other amino acids such as methionine and cysteine. Therefore, they need a diet that is high in taurine. If taurine is deficient, signs such as heart condition called dilated cardiomyopathy, retinal degeneration, reproductive failure, and abnormal kitten development can occur. Do you use BHA, BHT or Ethoxyquin in Applaws It’s All Good? Do you use any GM (Genetically Modified) ingredients in Applaws It’s All Good Dry Food?